Martyn Hillier wins 2015 CAMRA Campaigner of the Year. Martyn Hillier, the founder (and some say Godfather!) 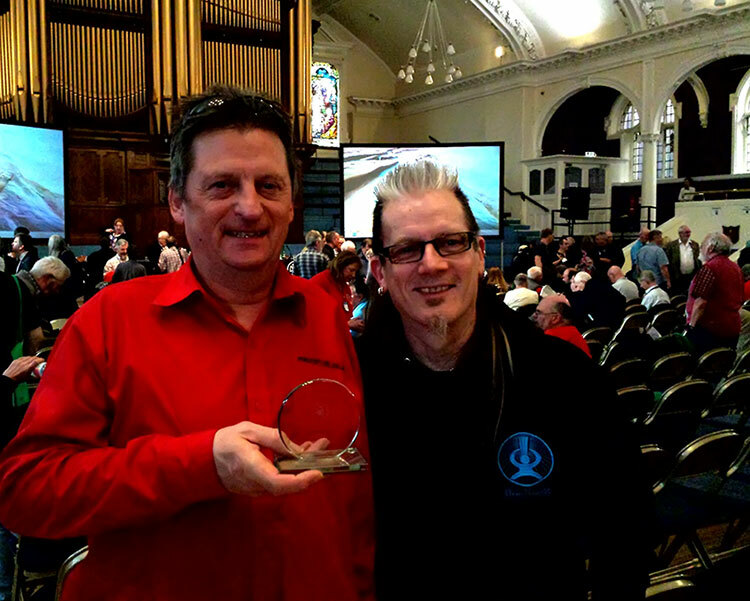 of the Micropub movement won the title of CAMRA Campaigner of the Year at last weekend’s CAMRA AGM in Nottingham. A great result for the Micropub revolution! “Newark CAMRA would like to nominate Martyn Hillier, of the Butcher’s Arms in Hearne, as CAMRA Campaigner of the Year. It should not be underestimated what Martyn’s contribution to the Campaign has been (either directly or indirectly) since his brief presentation at the 2009 Members Weekend at Eastbourne. From planting the initial seed in the minds of two members present that weekend, namely Pete Morgan who opened the second Micropub, The Rat Race in Hartlepool later in 2009, and Phil Ayling (Newark branch member) who went on to open the third in 2010 – Just Beer in Newark – the Micropub movement is gathering pace. In just five short years the Micropub movement has blossomed to a point where there are almost (at last count) around 80* or so Micropubs opened or due to do so shortly and has obvious signs of gathering momentum. In a nation where literally dozens of mainstream pubs are closing every month, the Micropub is bucking the trend and its ‘Real Ale’ only and no-frills ethos is providing both a welcome outlet for the new brewer’s products and for the drinker who has been deprived of a watering hole that has been closed down by a larger operator for being unprofitable or ‘commercially unviable’. Micropubs are showcasing, almost exclusively, the produce of the smaller, independent microbreweries. By doing so they are giving a shop front to all the exciting and innovative breweries that are springing up all over the country which don’t get a chance in mainstream pubs. 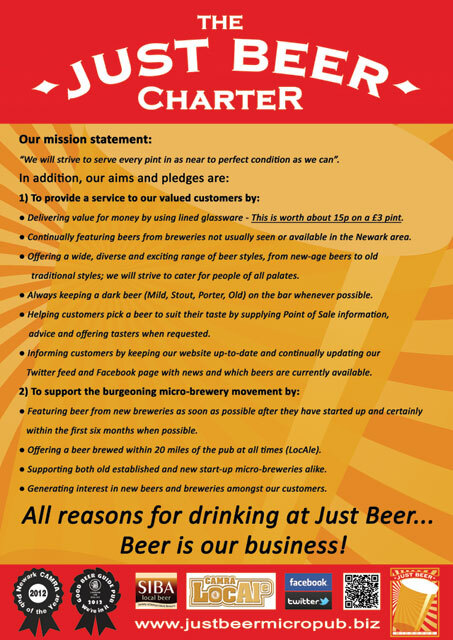 By selling exciting beers, Micropubs automatically spread the Real Ale gospel through its happy customers. Micropubs sell ONLY real ale – how much more focused on the Campaign could a business be? Collectively, Micropubs must be contributing as much to the treasury as a small to medium pub chain. Many other bullet points could be raised, but you get the idea! All this is down to Martyn. He gives advice tirelessly to other would-be Micropub owners and has formed a small but like minded group, the Micropub Association where people can ask questions and get free advice on opening their own Micropub. Without doubt, the Micropub movement is set to snowball. All this is down to Martyn and Newark CAMRA wholeheartedly nominate him for CAMRA’s Campaigner of the Year Award. *Current count of Micropubs (22/04/15) is 131. This is a great bit of prestige for both the branch, Just Beer and a massive boost for the Micropub movement in general. Big congratulations to Martyn. Well deserved.